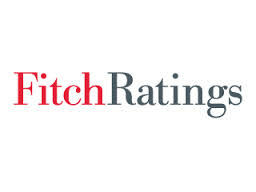 The Fitch Ratings agency recently awarded the City of Paso Robles with a AA bond rating for $28.6 million in general obligations and noted the success of the city’s wine and tourism industry. The city’s local economy is mainly based on wine production and tourism, with a growing presence of higher-paying software engineering and biotechnology concerns, the report says. Tourism continues to grow, as evidenced by year-over-year increases in sales and transient occupancy tax collections and the on-going construction of 7-8 new high-end hotels within city limits. The city also participates in the broad and diverse San Luis Obispo county regional economy with a large state government and utility presence. Unemployment has trended above the national rate but below the state’s high rate since the economic downturn. The December 2013 unemployment rate decreased to 6.7% from 8.6% in the prior year, as employment growth outpaced a mild labor force contraction. Wealth indicators are generally at or below regional and national averages. The city’s 2013 population of 30,556 has grown by an above-average annual rate of 2.1% over the past decade, but Fitch does not detect signs of related capital pressures. Taxable assessed valuation (TAV) posted solid growth in fiscal year 2014 and has nearly returned to its prerecession peak. The housing market has also posted decent recovery. The city has demonstrated consistently strong financial performance, due largely to active expenditure management and conservative budgeting and planning. The city was able to manage costs well during the recession through the elimination of discretionary spending and the reduction of general fund full time equivalent staffing by 35% through frozen positions and retirement incentives. As a result, the city was able to close a structural imbalance in fiscal year 2011 that was created in fiscal years 2009 and 2010. The city has been adding back positions in the time since. The city is projected to finish fiscal year 2014 with a modest operating surplus after transfers. Four consecutive fiscal years of surpluses, in addition to a fund balance reclassification in fiscal year 2011, are projected to bring total general fund balance to a very strong $17.1 million, or 65.2% of spending, in fiscal year 2014 from $10.7 million, or 40.7% of spending, in fiscal year 2011. The preliminary fiscal year 2015 budget shows another modest surplus and the city’s five year forecast shows continued structural balance. Fitch considers the city’s projections to be reasonable given conservative assumptions for the city’s collection of sales and transient occupancy tax revenues and a recently passed half-cent sales tax measure that will relieve some pent-up capital spending pressures on the general fund.